Q1) a) Explain different views of software architecture? What is 5+1 architecture view model? Explain with suitable diagram? Logical view: It is related to functionalities offered to end user of system. Module can be represented by sequence, class and communication diagram. 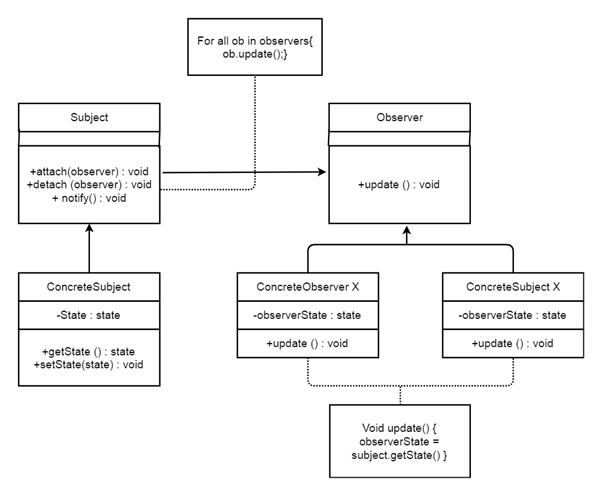 Module can be represents by activity diagram. Physical view: It is system engineer point of view and related to deployment, administration and environment of system. This view represents tools and its interaction, supporting software. 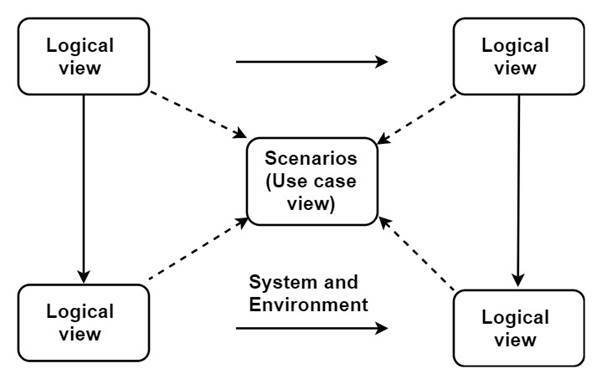 Module can be represents by deployment diagram. Automated teller machine validates user ATM card and connects to bank server to perform transactional operational. Interaction is done using control panel. User can validates card, pin withdraw cash etc. 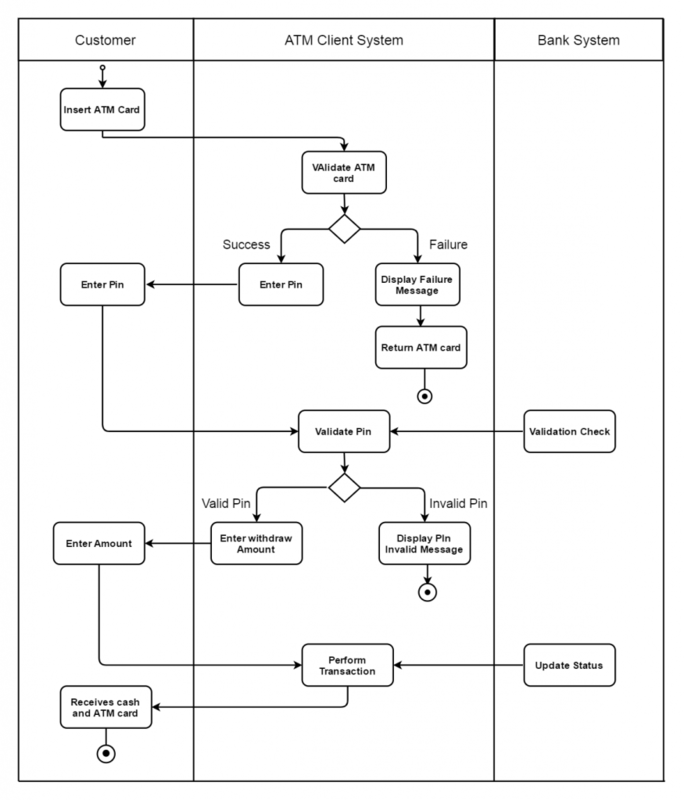 We consider dynamic view of system using activity diagram. In SOA, there is an intermediary between client and server called broker. Broker hides all the complexities related to obtaining the broker from client. The client should get the same service irrespective of the change in location of client. When such situation happens, only broker should get the notification and only it has permission to take necessary action. There is no need of customization by client based on service platform. Also, we can execute services on different software and hardware and client does not need to maintain the information about each service platform on which service get executed. Subject: It is observed by any no of observers for any state change. V model separates the design and execution part of various types of tests. V model assumes that test execution can only be performed once the entire system is ready for execution. If one component is completed then it is ready for component testing and other components are still being developed. Such type of parallelism is not allowed in V model. Modified V model allows the parallel testing. It identifies different components of system which are in different stages of evolution and design test strategy accordingly. In modified V model, when specified criteria is meet then each component enters in suitable testing phase. Entering and exit criteria are defined for every module base on which module passes to subsequent testing stages. Modified V model specifies various phases of testing. Each type of testing is directly mapped with corresponding phase of testing. 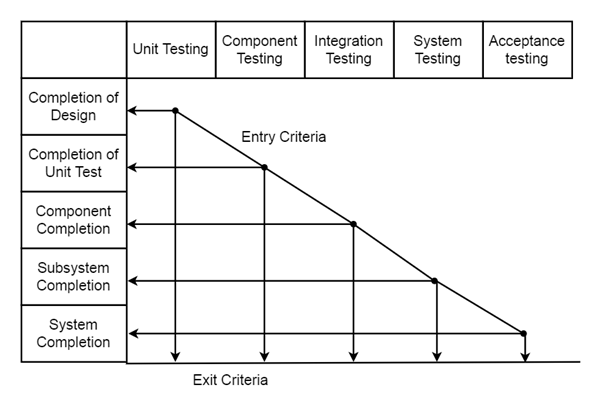 For unit testing, there is unit testing phase, for component testing, there is component testing phase. Figure shows how different phases of testing are performed in parallel. When intermediate product such as module or program enters in given phase of testing, then it is important to verify whether that intermediate product ready for that phase of testing or not. This is decided by set of entry criteria. For next phase to start, it is important for intermediate product to complete its previous phase of testing. It helps in understanding how the identified defects can be used to improve the quality of product and testing. Organization classifies defects based on their priority and severity. Defect priority order is D1, D2, D3 then D1 defect should fix first before D2. While some organization give more priority to defect severity which decided by testing team. Defect severity is the degree of impact of defect at hand on software development system. 1 The highest priority should fix as soon as possible. 2 High priority defect should fix before next cycle of test. 3 Priority of bug is medium and should fix at any suitable time. 4 Priority of bug is low and can be fixed at next release cycle. 1 Has highest severity so the product is of no use without fix. 2 High severity. Some functionality is not working. 3 Medium severity. Some functionality is not working in specific environment. 4 Low severity. Minimizes the system performance. Defect lifecycle is managed by defect management tools. Defect management can be done by having combination of well-defined defect management process in place and efficient defect management tool in support. It provides uniform platform and centralized repository for tracking defect across project. It provides support of management reporting and defect analysis. It provides ability to link and list all related defects with current defect. It facilitates the task of resource allocation and automated notification of defect state change. When defect fix is submitted to code repository then tool update the status as submitted and ready for verification. In this, system is evaluated by developers and users. Performance of product has high impact on business of organization. 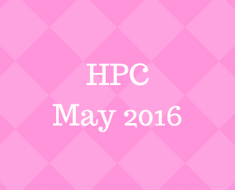 Factors that affect performance of system are scalability, reliability, speed, latency etc. Throughput: It defines the capabilities of system of handling multiple request in given period of time. Latency: It is a delay caused by factors external to the system. Delay may be from operating system or external environment. Response Time: It is the time duration between request and first response from the system. Performance: Often competitor’s product is evaluated for performance testing. Performance of product is very important. In generalized architecture of automation tool, different modules are interacting with each other for their operations. The framework is connected to two external components Defect DB and TCDB. Defect DB is a defect database which includes information about all the defects detected I product of an organization. TCDB is a test case database which contains all related information about test cases of product developed by organization. 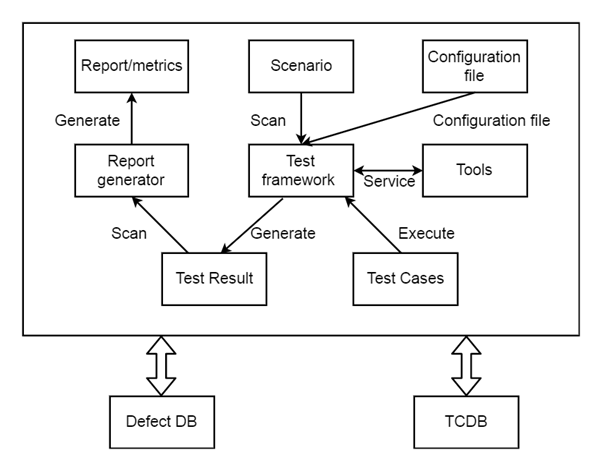 Test frameworks obtain the required test case from TCDB and carry out the test case execution. It is complete integrated development environment for design and executing test cases. We can install it on Firefox web browser and serves as simple record and playback interaction for Firefox. It is a multi-feature IDE available as browser add-on. It supports recording, editing and debugging of tests. Its functionality is available as Selenium web driver in selenium 2.0. It is a server and has the capability of accepting command for browsers through HTTP. Local and remote test automation is supported by Selenium remote control. Test writers can use client selenium API in their programs to communicate with selenium. Web driver also offers service through client selenium API. It is a server in selenium automation suite framework which makes use of remote browsers for running test cases easy. By using grid, one server can act like hub and other can communicate it to obtain remote browser instances. Hub allows web browser instance to run test case and maintain list of all web driver nodes. It is a collection of language specific binding to automate and control the operation of browser. It is a successor of selenium remote control. It exists in the form of object oriented API. It sends commands o web browser remotely and locally and obtain the required result. Monkey talk IDE, monkey talk agent, monkey talk script are three components of monkey talk. The components are verified whether user experience of application is uniform across all platforms. It is important testing from business perspective of organization. It verifies all functionality directly visible to user. This testing verifies the functionality of system as per specified requirements. 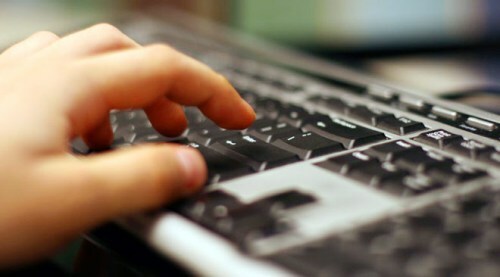 It involves testing of user interface and operation of application. 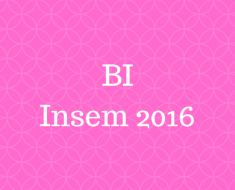 It is performed b sing user interface and call flows. Mobile application continuously listen the interrupt from various sources and takes action accordingly. Interrupts are incoming messages, calls, low battery No network connectivity, Wi-Fi turned on or off etc. It checks the performance of system in specified condition. It also tests performance of serving application. Performance of application is tested under condition like low battery, low storage etc. Improper handling of device memory leads to poor performance of application and may affect performance of entire mobile device. Therefore, it is important to perform this testing. It checks system vulnerabilities to hacking, authentication and authorization data confidentiality etc. It is performed to ensure proper functionality in real life environment along with network and data connectivity. Organizations make sure that their product is compliant with guidelines and standards designed and implemented by different mobile platform.